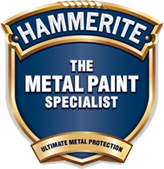 Hammerite Red Oxide Primer is specially formulated for use on both bare and rusty iron and steel. This high performance primer provides a smooth protective base for overcoating with minimal sanding. For interior and exterior use. 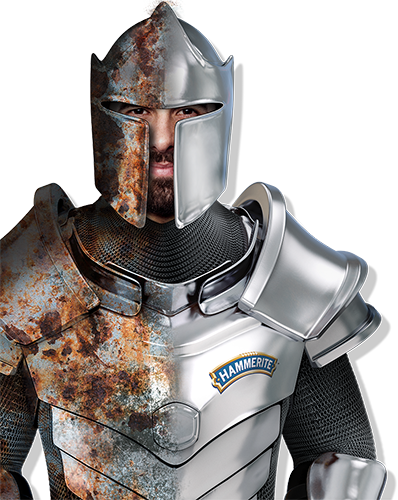 For aluminium, galvanised and all other non-ferrous metals, use Hammerite Special Metals Primer. A high performance anticorrosive formulation. Makes 10 times the initial volume. Rust Remover Gel is specially developed for the safe and effective removal of rust from metal items. Non-drip formula. This gel is ideal for vertical surfaces. In just 2 to 3 hours it removes rust. Non harmful and safe to the skin. For removal of rust from vertical and intricate metal items. If you want to remove rust from nuts, bolts, garden tools and other metal objects, Hammerite Rust Remover Gel Blister is ideal for the job. The gel is specially formulated to remove rust in just 2 to 3 hours. Non harmful and safe to the skin. Safe and effective removal of rust. The quick and easy way to Waxoyl your car. New improved spraying with the Hammerite Waxoyl Pressure Sprayer. Standard spray - Should be used on large flat upright panels and anywhere you can uses the spray bottle when it's held upright. Extended spray - Should be used when the standard nozzle just won't reach and when you need to spray a panel that's above you. Can also be used to spray around corners and over parts like exhausts and axles.